KEZAR WATERFRONT EASTERN SHORE UPPER BAY! Rate 4600 per week plus tax. 2019 availability. July13-20, july20-27, july 27-aug3. aug 17-24, aug 24-31, aug 31-sept 2 Top of the line gem! amazing views from every room! beautifully landscaped with spacious yard and winding path to waters' edge with u-shape dock and swim float..Impeccable interior includes a large screened porch, fireplaced livingroom, kitchen, dining area. 4 bedrooms, 3 baths. this property is so charming with all the bells and whistles. Linens provided. 4 kayaks and floats to play on. dog accepted upon approval (references) . Internet, cable . Security deposit $1000.00 . Cleaning fee $150. RATE 4500 per week plus tax. Booking now for Summer 2019...JUNE 22-29, June 29-July 6, July 6-13, JULY 27-AUG 3, Aug 24-31,AUG 31-SEPT 7...SEPT AND OCT BY THE WEEK TOO! Gorgeous home with six bedrooms, 6 baths. All the bells and whistles including game room, pool table and exercise room. Home is impeccable ! Sleeps 10 max. no pets allowed Enjoy waterfront with common dock and all the wonderful Westways amenities!!! paddle board, internet, linens provided, grill, all appliances...NO pets. 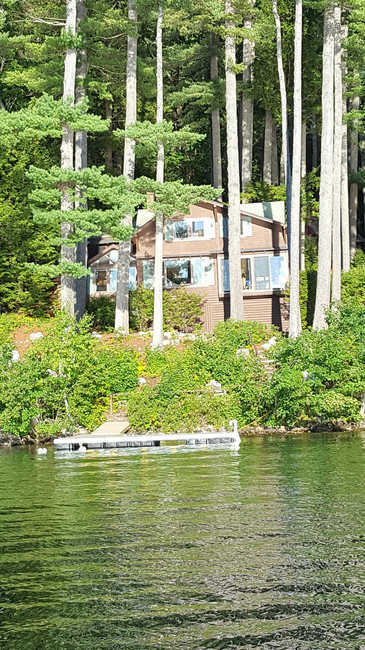 Kezar Lake on Alaska Bay with Privacy Galore! KEZAR LAKE RENTAL. 2019 AVAILABILITY: JULY20-27, JULY 27-AUG3, AUG3-10,AUG 24-31, AUG 31-SEPT 1. $4200.00 per week plus tax. 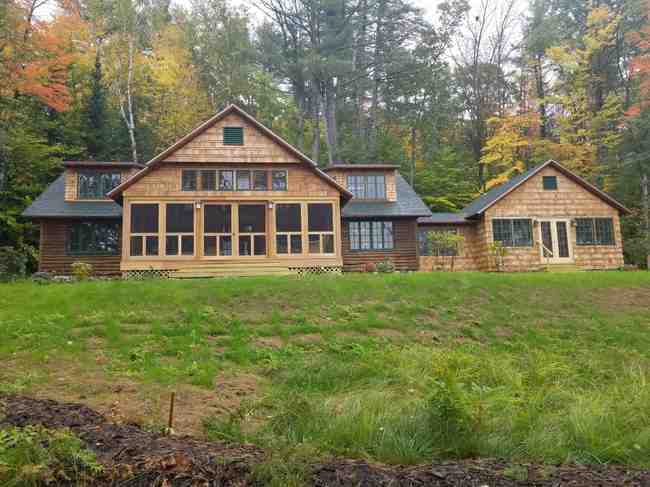 Top of the line Kezar lakeside cottage, the house has been published in Maine Home Design Magazine and was described as "Adirondack Camp Meets European Chic." Open concept living room, dining room, gourmet kitchen with three separate porches lets the outside in! Four bedrooms plus sleeping loft quarters, 3.5 baths, t.v./media room, laundry room, large docking system, swim float, hot tub and easy access to the water. This property has all the bells and whistles to enjoy a wonderful vacation! Gas grill, 2 kayaks and sailboat available. Linens provided- Bed sizes: 4 queen, 2 twin and double futon. Wireless. No pets please and non smokers. BEST SUITED FOR 4 COUPLES AND EXTRA LOFT SPACE FOR 2-4 CHILDREN. 10 TO 12 MAX. TOP OF THE LAKE GEM! Property Name TOP OF THE LAKE GEM! 2019 AVAILABILITY: AUG 17-24 "Buena Vista" TOP OF THE LAKE GEM! 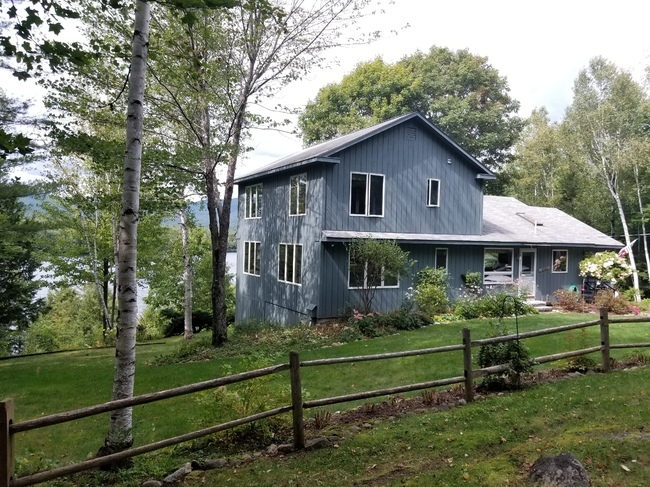 Sited high up off the lake on 16 private acres at the North end of Kezar Lake has amazing lake and mountain views! This property offers boating, fishing, tennis (private court) and relaxation! Features include a screened-in porch, across the front deck, fireplaced living room, galley kitchen, open dining, 4 bedrooms, 2 baths (sleeps 8 ) , lower level game room has tv, poker table and ping pong. There is a separate bunk house with 2 sets of bunks (sleeps 4) Maximum occupancy is 12. 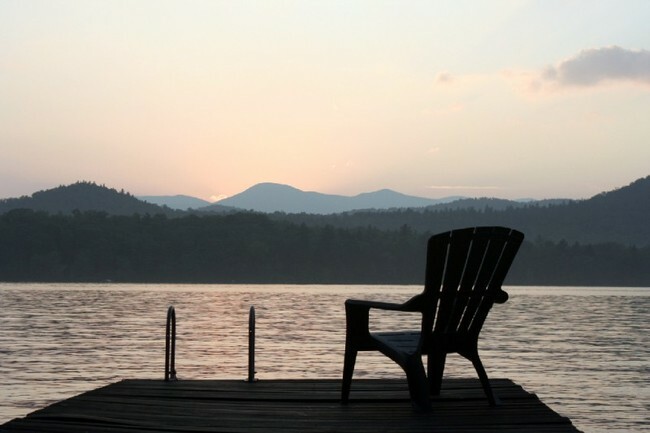 At the waters' edge is large docking system for your boat and great swimming The entire package makes for a wonderful family vacation on a quiet lake, quiet town and all that nature has to offer! Dog okay upon approval, wi-fi, Linens provided.. Bed sizes: 2 king 4 twin in main house. Bunk house has 2 sets of bunks. (4 twin) 3 kayaks, canoe, gas grill. 2019 availability: booked summer 2019. rate $3875 plus tax per week. a gem of a lakefront home with 4 bedroom, 2 bathroom main house and guest cottage with 1 bedroom 1 bathroom (+bonus kids bunk room). main house and cottage connected via screened-in porch. private dock on pristine kezar lake in center lovell, me. the home has a sunroom and deck with spectacular sunset views. home is part of severance lodge club which offers tennis court, sandy beach, shuffleboard, and gourmet dining. bed sizes: 2 king, 1 queen, 1 double and 3 singles, 1 children's bunk bed. maximum occupancy is 10. tv, internet, linens provided, propane grill, washer/dryer, dishwasher, microwave, toaster, coffee maker, fireplace. No pets. 18 public golf course 10 minutes way by car. RATE-$ 3700.00 PER WEEK PLUS TAX. AVAILABLE- AVAILABILITY SUMMER 2019.. June 29-July 6, July 6-13, July 13-20, July 20-27, July 27-Aug 3, Aug 3-10, Aug 10-17, Aug 17-24, Aug 24-31, Aug 31-Sept ...and SEPT AND OCT AVAILABILITY. New construction luxury 4 bedroom, 3.5 bath 2,500 sq feet waterfront cottage. Severance Lodge Club amenities include tennis, sand beaches, private dining room site on Kezar Lakes eastern shore commanding beautiful lake and mountain views. 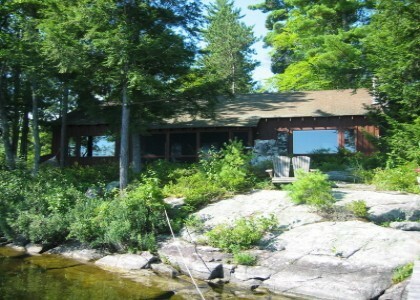 The cottage is sited 45 feet from the lakefront with unobstructed views and frontage. Open concept living areas and custom craftmanship throughout. Bed sizes: 3 queen, and 2 twin. Linens provided. All top of the line appliances, internet and cable. NO PETS PLEASE. $3675 per week plus tax. $595 per night and $494 per night in Sept. 4 night minimum. Available 2019: BOOKED SUMMER. AVAILABLE IN SEPTEMBER AND OCTOBER. RATE Classic Traditional Maine Lakehouse has 5 bedrooms, 3 baths. Bonus boathouse w/ living space above! Very desirable location on Kezar's Upper Bay. Fantastic Family GET-A-Way...!! Sleeps 11 max. Canoe,kayak, gas grill, wifi, linens provided. Bed sizes: 5 twins, 1 king, 1 full. Pet considered. 500 pet deposit 150.00 cleaning fee. 2018 availability: -booked summer 2018.. $3500 per week plus 9% sales tax. Upscale vacation cottage at westways on kezar lake. All the wonderful amenities that westways has to offer; tennis, rec room w/ bowling and pool tables. Beautiful common grounds w/common beaches, docks, ballfield and playground. This private five bedroom, 3.5 bath home has its own private dock and commands pristine westerly mountain vistas and sparkling blue waters! Private picnic area, barbeque pit and deck. Tasteful decor throughout and fine quality craftmanship. The character of a 1920 maine cottage totally renovated and updated in 2000. Maximum occupancy is 10. Very attractive home with all the comforts of a classic vacation home! Two livingrooms, large open kitchen, den,mud room, screened porch and deck. Handsome flow of rooms. Bed sizes: 1 king, 4 sets of twins. Linens provided. No pets. No smoking please.